I would like to write something about the prophecies of Nostradamus, since it is largely discussed on the internet. It is also a frequent topic of discussion among people. Many are terrified by his frightening prophecies; others say that it's just a fiction. 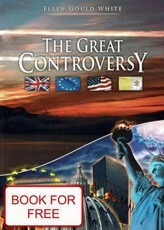 Numerous websites, dealing with his prophecies about the end of the world, wars and fury, are being created. Many associate Nostradamus predictions with the prophecy of the end of the world in 2012. I would like to explain where do these predictions come from and whether they can come true, as many people think. Who was Nostradamus and what were his prophecies about? He was born in France in 1503. He graduated in medicine and for several years worked as a doctor. Nostradamus is one of the most famous mystical prophets. He predicted the future; in his time it was an activity, for which many considered him sorcerer. He was interested in astrology and occultism. One of his first prophecies concerned the death of the French king Henry II. According to his prophecy, the king had to die from injury caused by a lance. In 1559, Henry II., participated in a jousting contest against Gabriel Montgomery, captain of the King's Scottish Guard. The first collision resulted in a draw. Henry II. claimed retaliation. In the second collision, a sliver broke off from Montgomery's lance. It pierced the eye of king Henry and penetrated the brain. King Henry II. died, as a consequence of this injury. These are prophecies that probably fulfilled: The death of Henry II. in a jousting tournament, execution of the English king Charles I, Franco, the Second World War with quite precise facts about the war; the death of Lady Diana, and many others. I'm not going to write down the wording of the prophecies, you can easily find them on the Internet. In contrast to numerous Nostradamus' prophecies that fulfilled, there are many others that did not fulfill. What can we expect to happen in the near future, according to Nostradamus? According to many, there are numerous prophecies of Nostradamus concerning the period around 2010 and 2012-2015, speaking of wars and fury. In those years, apparently, there are going to be wars, contamination of vegetation, increased livestock mortality, skin diseases, people escaping to the mountains to hide themselves. And the world will be dying. Everything, eventually, shall turn to its good and the world will survive. The last date that Nostradamus mentioned, was the year 3797. There is no prophecy for years after this date anymore. How do we recognize a true prophet? Do you know how to recognize the true prophet? We know that a prophet is true only if his prophecy fulfills at one hundred per cent. There cannot be the slightest deviation; the prophecy must fulfill unmistakably. All prophecies given to this world can come only from two powers. True prophecies come from God, our Creator, and fulfill unmistakably, at one hundred percent. False prophecies come from Satan, who cannot know what will happen in the future. However, he tries to predict it. Then, when time comes, he tries to do everything to fulfill the prophecy, but he does not always succeed. Therefore, some prophecies of false prophets are stunningly accurate, and, conversely, some do not fulfill at all. Every prophet is to be examined by this test. If there is a true prophet of God, his prophecy must fulfill accurately. Another important test of the true prophet is his life. God gives prophecies only to those who obey Him and live a godly life and observe His law. Matthew 7:15-23 - Beware of false prophets, which come to you in sheep's clothing, but inwardly they are ravening wolves. Ye shall know them by their fruits. Do men gather grapes of thorns, or figs of thistles? Even so every good tree bringeth forth good fruit; but a corrupt tree bringeth forth evil fruit. A good tree cannot bring forth evil fruit, neither can a corrupt tree bring forth good fruit. 19 Every tree that bringeth not forth good fruit is hewn down, and cast into the fire. Wherefore by their fruits ye shall know them. Not every one that saith unto me, Lord, Lord, shall enter into the kingdom of heaven; but he that doeth the will of my Father which is in heaven. Many will say to me in that day, Lord, Lord, have we not prophesied in thy name? and in thy name have cast out devils? and in thy name done many wonderful works? And then will I profess unto them, I never knew you: depart from me, ye that work iniquity. Prophecies of Nostradamus are not accurate, and in the light of this test, we know how to classify them. We can consider them false prophecies, created by the prince of darkness, Satan. The origin of evil. Is there any chance to survive? Now, I will try to explain this fact to those, who do not know, who Satan is, and how he came into this earth. Satan, or the devil, is no furry creature with horns, hoofs and tail. The Bible tells us that Satan had a high position in Heaven and unleashed a revolt against God and His law of love. Satan was a wise and beautiful angel. Yet, he rebelled. He was defeated and expelled from Heaven into the earth. So he got the possibility to demonstrate, how his government would work. God could have destroyed Satan and his fallen angels, as soon as he rebelled. But God is love, and love is freedom. God gives every creature its own freedom of thinking and freedom to make decisions. If God destroyed Satan, the whole universe obeyed Him for fear and not for love. This is why God left Satan alive and cast him out into the earth. So he was free to fully demonstrate to everyone his real character. Satan in his wickedness tempted the first humans. Adam and Eve had freedom of choice. Satan deceived them and caused them to sin. Sin is the transgression of God's law and leads us away from our Creator. Because of sin we are sentenced to death. Yet, for we are His creatures, His children, God loves us very much. And He has prepared a plan to save us. He sacrificed his only beloved son, the Lord Jesus Christ. Lord of the universe descended to the earth, He became flesh, even as we are, in order to redeem us by His blood shed upon the cross. He suffered; He was humiliated and afflicted to death for our sins. Christ took our guilt on Himself and suffered in our place. Through faith in Jesus Christ we can obtain eternal life, and return home and live eternally, free from pain and death. Why are there false prophets and false prophecies? During His life on this earth Jesus informed us about many signs concerning the end of the world. The Bible tells us that at the end of our world's history, the condition of our society will be very bad. False messiahs and false prophets will appear. They will deceive and try to seduce this world. Matthew 24:23-28 - Then if any man shall say unto you, Lo, here is Christ, or there; believe it not. For there shall arise false Christs, and false prophets, and shall shew great signs and wonders; insomuch that, if it were possible, they shall deceive the very elect. Behold, I have told you before. Wherefore if they shall say unto you, Behold, he is in the desert; go not forth: behold, he is in the secret chambers; believe it not. Satan uses false prophets as his instruments to confuse and to deceive all of us. What is the aim of doing so? The Bible tells us that the world will be awaiting the second coming of the Lord Jesus Christ. Satan will try to imitate Christ's coming and deceive many. 2 Thessalonians 2:3-12 - Let no man deceive you by any means: for that day shall not come, except there come a falling away first, and that man of sin be revealed, the son of perdition; Who opposeth and exalteth himself above all that is called God, or that is worshipped; so that he as God sitteth in the temple of God, shewing himself that he is God. Remember ye not, that, when I was yet with you, I told you these things? And now ye know what withholdeth that he might be revealed in his time. In the light of the Bible, we know that Satan can do the last great deception only at a given time. When God will allow it, he will show that abomination in its fullness. However, to make this, he has to prepare the world for it in advance. He is preparing the world by using false prophecies, which point to the arrival of Maitreya Christ, to the end of the world, to disasters and wars. In this way, he causes people to be afraid, scared, worried and concerned. Today, there is a great increase of interest in such prophecies, and many of them are emerging to the surface. All these prophecies whether they were predicted or gradually distorted by the world, point somehow to the year 2012 and the events in this period. They speak about wars, disasters and a subsequent transition to the era of prosperity, to the age of Aquarius. The old Maya preached about December 21, 2012, and the transition to a new age of Aquarius; about the end of the world, as we know it today; about the transition to a spiritual oriented society, when love and equilibrium in the world would prevail. According to many predictions of Nostradamus, since November 2010, there are going to be wars and misery in this world. After that, however, everything would turn out well. There are many other similar false prophecies... prophecies of Sibyl, Baba Vanga, St. Malachi's prophecy about the last pope, the Chinese I Ching book of prophecy, and many more. What does the New Age movement proclaimed? It speaks about transition to the age of Aquarius, a transition towards love and justice. It tries to unite various religious and philosophical streams; and proclaims the advent of the World Teacher. The so-called Maitreya Christ, according to Benjamin Cream, will soon appear to the world. It is said that already now there are great signs in the form of stars and light signals. These signs announce the early arrival of Maitreya Christ. For 40 years, Benjamin Cream, has been announcing the transition to a new age of Aquarius, an age full of peace and quietness. People will not be materially based, there will be abundance and prosperity everywhere. Apparently, the whole world is awaiting the Teacher. A master of wisdom is expected by all religions; and each religion has a different name for him. Maitreya is the Christ for Christians, Imam Mahdi for Muslims, Krishna for the Hindus, Messiah for the Jews and Maitreya Buddha for Buddhists. Allegedly, he is a Teacher for all the people, whether religious or not. He is a Teacher in the broadest sense. Catholics have their own prophecy about the last pope. You may be surprised, but it says that the penultimate pope is Benedict XVI. Who will be the last one? Course of world events is calling for a new world order – unification of the entire world and establishment of order. All movements call for unification, establishment of a new order, a transition to new times, a transition to the spiritual life and well-being. Only a being able to dazzle the whole world can achieve this. Satan knows that his time is short and is doggedly preparing his very last deception, when he will come personating Jesus Christ. He will try to seduce whole world with this deception. But it depends on God, our Creator, when He will give Satan the permission. I just want to turn your attention on the fact that Satan has already prepared everything in detail. According to the Biblical prophecies, no transition into an era of prosperity and love will take place in 2012. I'm not saying that this deception will appear at that time. But if something happens around 2012, it could be that Satan's final deception and deceit. What will the second coming of the Lord Jesus Christ look like? Now, we know that before the second coming of Jesus Christ, Satan will try to counterfeit His advent. The advent of our Savior is something surreal. Every eye will see Him, and every ear will hear. Matthew 24:30-31 - And then shall appear the sign of the Son of man in heaven: and then shall all the tribes of the earth mourn, and they shall see the Son of man coming in the clouds of heaven with power and great glory. 31 And he shall send his angels with a great sound of a trumpet, and they shall gather together his elect from the four winds, from one end of heaven to the other. 1 Thessalonians 4:16-18 - For the Lord himself shall descend from heaven with a shout, with the voice of the archangel, and with the trump of God: and the dead in Christ shall rise first: 17 Then we which are alive and remain shall be caught up together with them in the clouds, to meet the Lord in the air: and so shall we ever be with the Lord. 18 Wherefore comfort one another with these words.